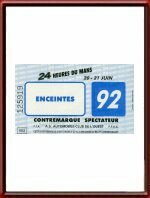 1992 24 Hours of Le Mans Contremarque Re-Entry Ticket. 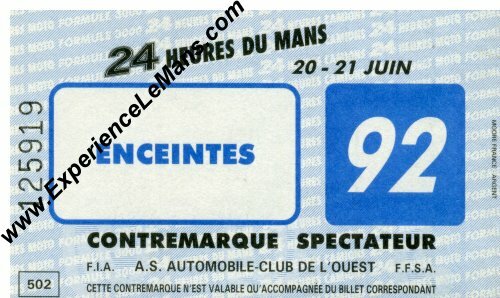 This re-entry ticket was issued one left the restricted (ticketed) areas of the Le Mans track and had to be presented upon re-entry. Not many survived the event as they were simply tossed away after they had served their purpose.